Our in-depth knowledge and industrial expertise enable us to trade and supply a distinguished range of Tamarind Powder. Botanical Common Name: Tamarindus indica L.
The ripe fruit of tamarind tree is used as a condiment. It is a moderate size to large, evergreen tree, up to 24 mtr in high and 7 mtr in girth. Bark is brown or dark gray, longitudinally and horizontally fissured. 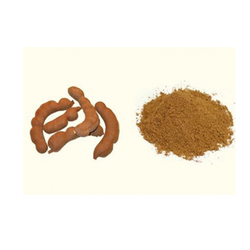 We are engaged in offering our customers with high-grade Tamarind Powder. With its vast applications in Indian and international kitchen, powder processed by us is hygienically prepared by our diligent team. By adhering to strict quality policy, we are competent to process wide range of tamarind powders for our diverse consumers. 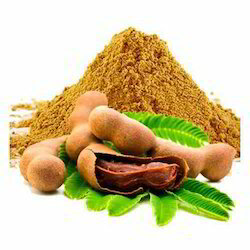 Owing to the expertise of our professionals, we have been engaged in offering Carboxy Methyl Tamarind Powder. Our offered powder is processed by using high quality raw material and sophisticated technology under the guidance of our experienced professionals, who hold comprehensive and conscientious knowledge of the industry.